For jazz enthusiasts in France comes calling the melancholy reflection that there is a diminishing number of “boites” to take in the classic standards. So what high excitement to hear – piecing the slanted rays of crepuscule which bleed the azure Provencal sky of its pigments – the unavoidably sentimental strains of Herbie Hancock, Dexter Gordon, Sonny Rollins, Horace Silver and other great composers of jazz. 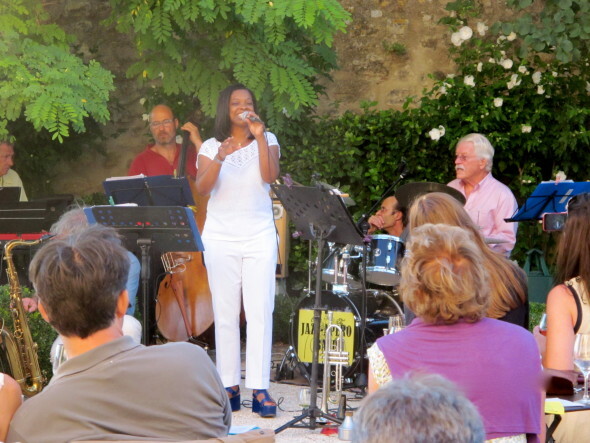 On Saturday, August 10, the setting is a Jazz – Apéro at the Maison de la Truffe and du Vin in Ménerbes, or a Pianocktail, the portmanteau word (mot-valise) invented by Boris Vian in his novel L’Ecume des Jours. Vian came to mind this evening as he extolled only two love objects in life – les jollies filles and the jazz of New Orleans and Duke Ellington – and these two inspirations were incarnated in the single personage of the American chanteuse Margeaux Lampley, whose delicious voice waxed lyrically, accompanied by Jazz Apéro, a five-member group playing its third season of standards in Ménerbes. Margeaux got a jones for gospel, jazz and soul when passing her formative years in Oakland, California – in the Bay Area where music is absorbed deeply as if by incantation. She then leaned in on a legal career by picking up a law degree from Columbia University, before giving into her grande passion for music – un retour aux sources. Margeaux seeded her new dreams in a bohemian Paris, taking up jazz at the CIM music school and the Studio des Variétés. With a métier in full bloom as a singer-songwriter whose compositions sway under the gravitational pull of jazz, pop, soul and latin music, Margeaux performs frequently in Paris and has dropped two albums. 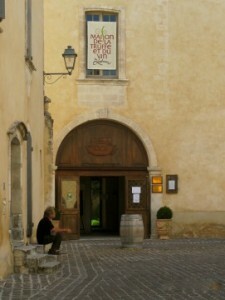 In the Luberon, she is taking on a new adventure with her family with the recent purchase of a house and vineyard. Will a silhouette of Miles Davis grace a new wine label? 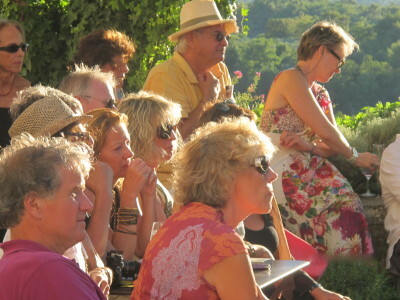 The group Jazz-Apero is organized by Racey Gilbert, of Westport, Connecticut, and the Luberon. 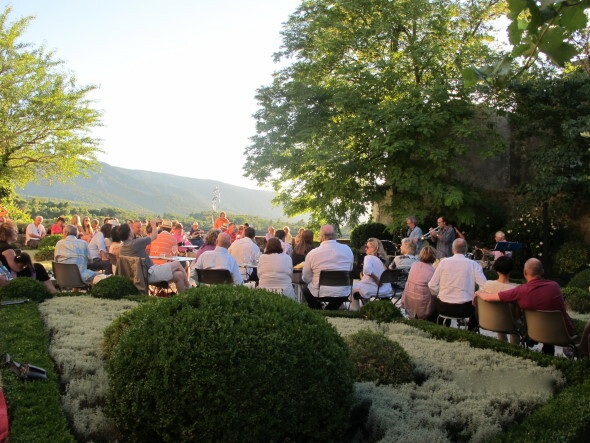 The group plays a series of six “pianocktails” from April to September in the garden of the Maison de la Truffe and du Vin in Ménerbes. The final performance is on Saturday, September 28, from 6:00 – 8:00 p.m. This entry was posted in Culture and tagged Menerbes, Music. Bookmark the permalink.